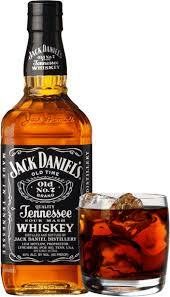 Anti-Jack Daniels Bill Dies. Drinks are on Jack! One of RTPs favorite state senators, Mark Green, likes to keep an open mind. Word is, he also likes to keep an open bottle of fine Tennessee Whiskey on hand (strictly for medicinal purposes. He’s a doctor, you know). Jack Daniels has spent the last 100 years or so making sure that if somebody’s going to make something called “Tennessee Whiskey” it has to have a certain level of quality in order to qualify. So it was somewhat of a surprise when Green’s name showed up as a sponsor of a little bill that, if passed, would allow any fool calling himself a distiller to put horse piss in a bottle and call it “Tennessee Whiskey.” Upon further research, RTP came to the conclusion that Green just carried the bill as a courtesy to it’s House sponsor, Rep. Sanderson. After careful consideration, Green decided to let the bill quietly die in committee. Small batch start-up distillers, like Charlie Nelson of Nelson’s Greenbrier Distillery, who testified they were more interested in making a fine whiskey than trying to freeload off gentleman Jack’s good name, were delighted. Thanks Sen. Green. Rocky Top Politics will gladly drink to that!